Holidays are the perfect time to bring out some fun activities that will keep the kids busy, have a soothing effect on their mood, and even allow parents to spend quality time with their children. 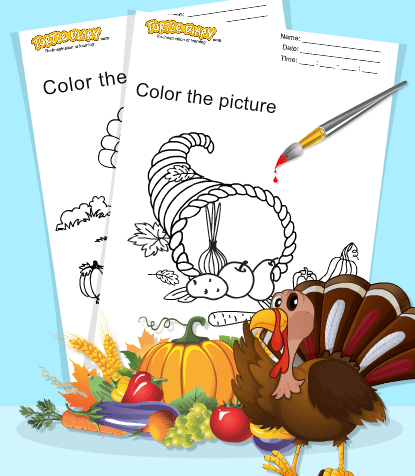 Our wide selection of holiday coloring pages is an absolute must for that moment when you hear the dreaded words, "Mom, I'm bored!" 'Holidays' mean more meals, more drinks, more mess, more bickering, and more boredom. However, smart moms are prepared. They realise that children work through a cycle of holiday activities, and when one becomes jaded, their children drop it in favor of the next exciting possibility. And so they work their way through skateboards, digital games, bicycles, puzzles, friends, etc., until every possibility has been exhausted. The best way to keep children happy and entertained is to ensure that the activities are varied and that there are many options.